Sri Lanka’s unit of Swiss food multinational Nestle is eyeing opportunities to increase the export volume of its locally manufactured products while continuing to pursue its ambitious growth targets in the Sri Lankan market. Currently, 90% of Nestle products, manufactured in Sri Lanka are sold locally while the rest 10% is exported to various other countries. Currently, Nestle is one of the largest exporters of coconut milk powder in Sri Lanka. Nestle Sri Lanka is looking at opportunities to export products in Chinese market under the proposed Sri Lanka–China Free Trade Agreement (FTA), Bandula Egodage –Vice President Corporate Affairs and Communications told Daily News Business. “We can’t export at the moment because preferential rates are not given for Sri Lankan exports. Through China Sri Lanka FTA, we look at export opportunities especially for Sri Lankan coconut based products. We have put our name in the positive list at the moment. The moment they endorse that, we are ready to export to Chinese market.” Egodage said. “I think products manufactured by Nestle Sri Lanka have a very good image. We intend to build sustainable markets through exports. 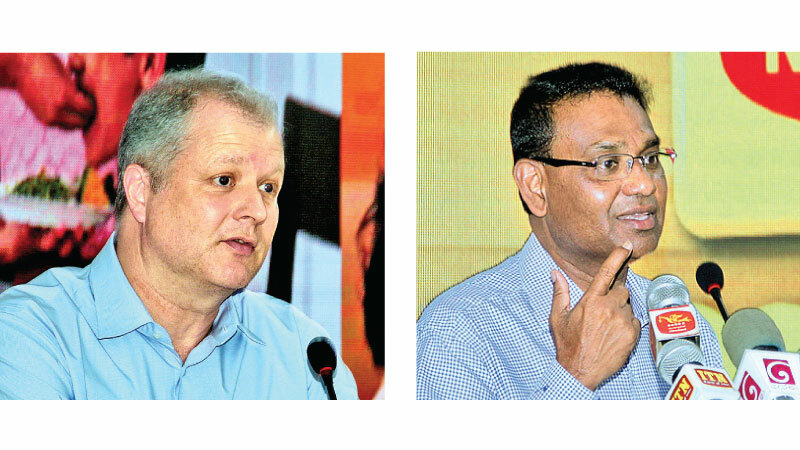 We at Nestle will be looking at every opportunity to further strengthen our export volume in the future,” Nestle Sri Lanka Managing Director Fabrice Cavallin told Daily News Business. Speaking on volatile economic conditions and its impact on overall Nestle Sri Lanka business, Cavallin said Nestle will always strive to find opportunities through every challenge and to make a responsible commitment to the wellbeing of local farmer communities. “We will always look at the quality and offering of our products to operate in a challenging economic climate. It is clear that there are some economic challenges in Sri Lanka, but we have to overcome these challenges and find new opportunities in order to move forward,” he said. In addition, Nestle is conducting various training programs in cattle feeding and breeding, animal health, farm management for the benefit of local dairy farmers. “Nestle over the last six years alone has invested Rs 10 billion in Sri Lanka, of which Rs 5 billion has been invested to set up a coconut milk powder plant which is currently in operation. It will be the biggest investment that a FMCG company has made in Sri Lanka so far. Most importantly, nestle has invested this amount during the worst economic time in the world.” Egodage said. Prior to investing further, Cavallin said further that Nestle has to see the results of milk power plant investment project. “May be within another 2-3 years time, with the result of this project, we will further invest as we are looking to grow in Sri Lanka,” Cavallin affirmed.